Beautiful flowers and plants, floral still lifes. Colorful emotions, expression and freedom in painting. Flower arrangements are a universal gift for loved ones. You can purchase or commission our original artworks . Colorful meadows, blooming bouquets in our oil paintings smell of summer and fill your home with the beauty of pure nature at its best time. You just relax, enjoy the warmth and shining colors. Would you like to catch that nice feeling? Do it - with our beautiful paintings of flowers, designed in the genres of still life, or landscape in a realistic or abstract style. 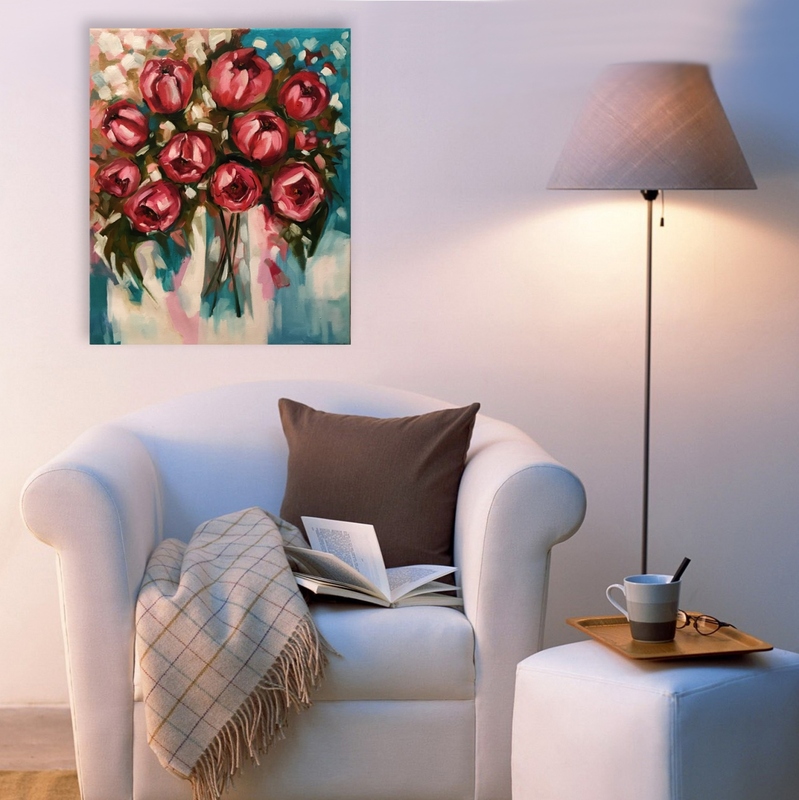 Beautiful oil painting and bouquets always have been popular among art lovers. Paintings with beautiful flowers, bouquets, abstract and thematic still lifes you can buy on our website. Even in the most cold winter days, flower painting and beautiful exotic plants painting bring the freshness of summer to your home and the sun in your heart! 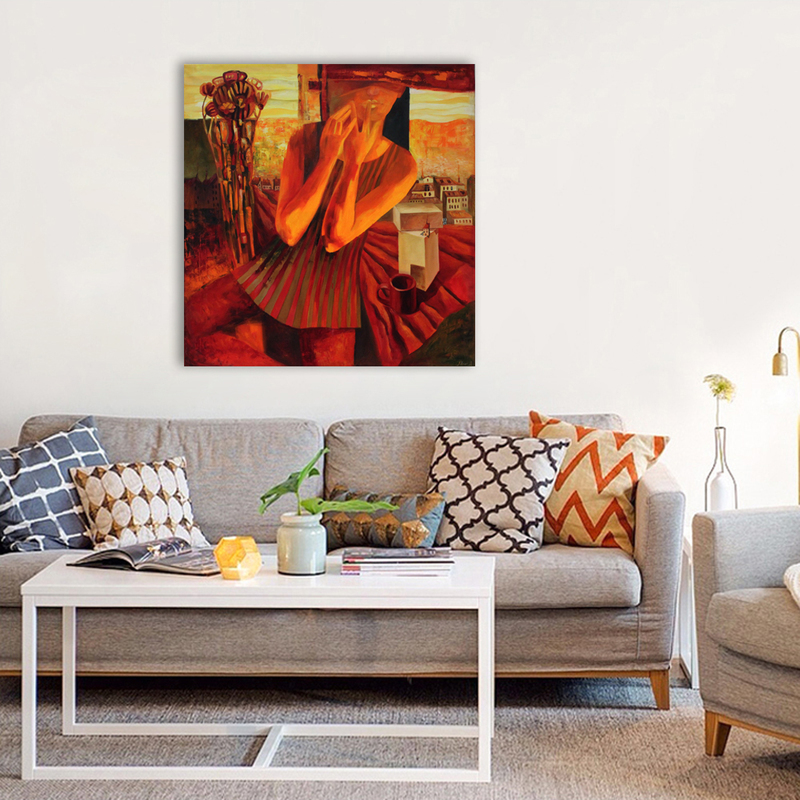 Flower and floral themes in paintings from our artists are popular and timeless artworks for stylish wall decor. They can radiate peace and harmony. Or its expressive colors can flicker and give energy. And deep shades of tropical leaves and golden glow gorgeous create a refined and elegant atmosphere. The language of flowers also works with paintings! Each variety is used to express special feelings. So it can replace the intended words. Flowers can be expressed a deep affection, love, tenderness, and friendship, purity and loyalty. The collection of still life and flower paintings is done in oil on primed canvas, in impressionist style with elements of both realism and abstract art. 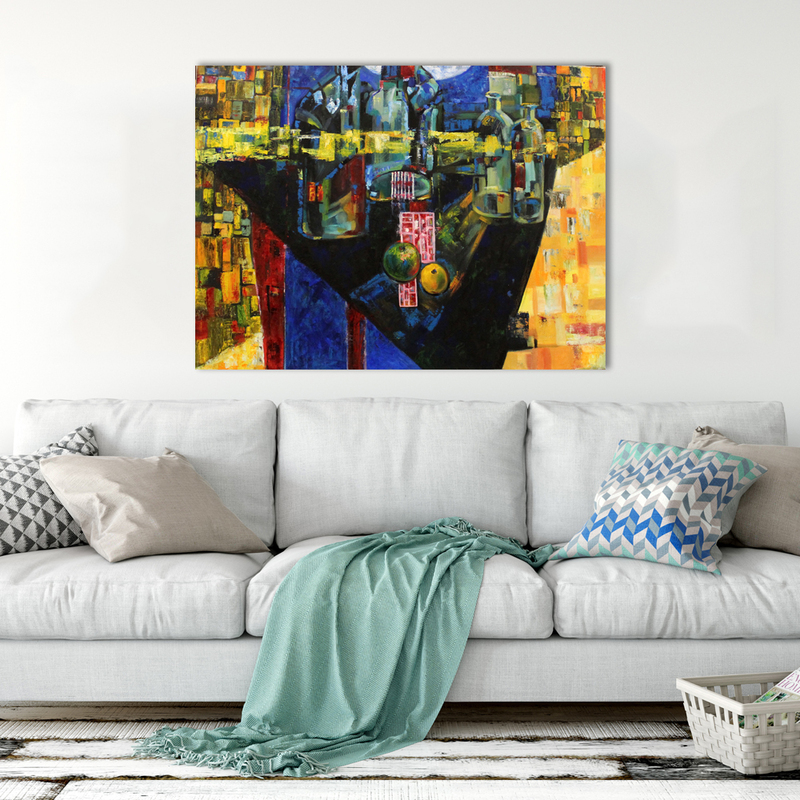 Elements of abstract style and impressionism represent bright individuality in traditional still life, helping bring a simple and laconic story beyond the ordinary perception of the beauty of nature and esthetics of realistic depiction of things. In addition to brushes, the painter uses a special tool called palette knife. This technique is what makes the collection unique. Each painting completed in palette knife technique is an authentic work. Its individual and unique. Vivid, bold color combinations create an impression of sunlight, warmth and joy in these still life paintings. They will be a great decoration for your house or an original gift for your friends and family. The collection has pictures of different sizes and prices. We do not repeat these paintings to order. The only paintings available for sale on the website are original authentic works we have in stock. Any artwork that has been sold is clearly marked as such. It is only there for you to get an idea of the artist’s style, or so that you can order a similar-looking but still unique and original painting.